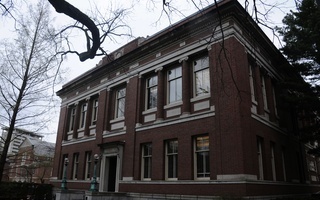 Robinson Hall, located in Harvard Yard, is home to the History Department. 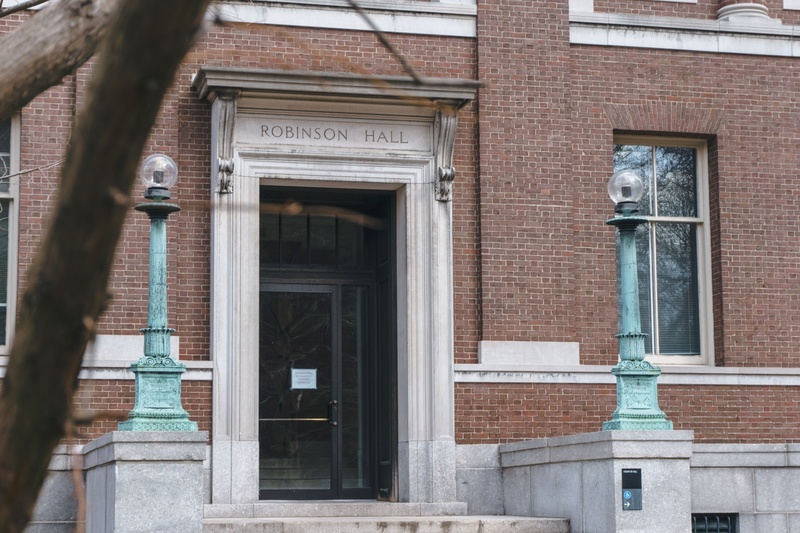 Harvard has finished an eight-month renovation of Robinson Hall, the building housing the History Department, according to Associate Dean for Physical Resources and Planning Michael N. Lichten. 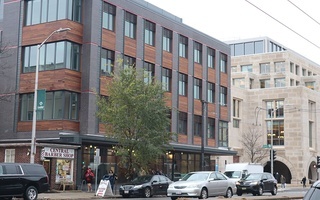 The construction project — which lasted from May 2018 to January 2019 — added an elevator, modernized offices and classrooms in the building, and relocated the bathrooms. 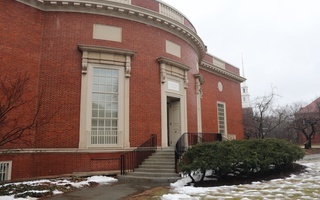 Before the renovation, Robinson Hall, which dates to the early 20th century, was one of the last buildings in Harvard Yard that was not wheelchair accessible. Some College students said they haven't noticed much change since the completion. History concentrator Isaac A. Walker ’19 said the new building has made a minimal impact on his time there. During construction, some History classes met in other buildings. History concentrator William G. Strang ’19 said the construction’s main effect on him was that it relocated some of his courses. “A lot of my history seminars that would otherwise be in Robinson were in [the Center for Government and International Studies],” he said. Some students praised the outcome of the renovations. Walker said he is particularly glad the construction did not change the Great Space, a large room in Robinson designed to foster collaboration. Though he said the renovation will only affect him a little, Walker said he is glad it will help others. “Hopefully it will make using the building a more pleasant and modern experience,” he said. Lichten, too, praised the University’s decision to make the building more accessible. — Staff writer Aspen H. Buck can be reached at aspen.buck@thecrimson.com. — Staff writer Edward W. Carr can be reached at edward.carr@thecrimson.com. Why then, would Auntie Walker so gleefully and ferociously wrest away our dignity, pinning us up against the museum walls like butterflies in a white man’s study?